In the first photo (above) can be seen the “floor” of the tablet. It was carved from the rectangular piece of plastic that had been cut from the front of the enclosure, to make an opening for the LCD display. Waste not, want not! Note the cable tie down on the left of the photo. It was fashioned from a house-wiring style of nail staple, of the kind available at home improvement stores. Notice how I cheaped-out on the stand-offs, and went with the home improvement store’s inexpensive nuts and bolts solution. My jigsaw didn’t stay exactly on the line, did it? Some filing is in order. Figure 2: Home improvement store staple, momentary contact buttons. 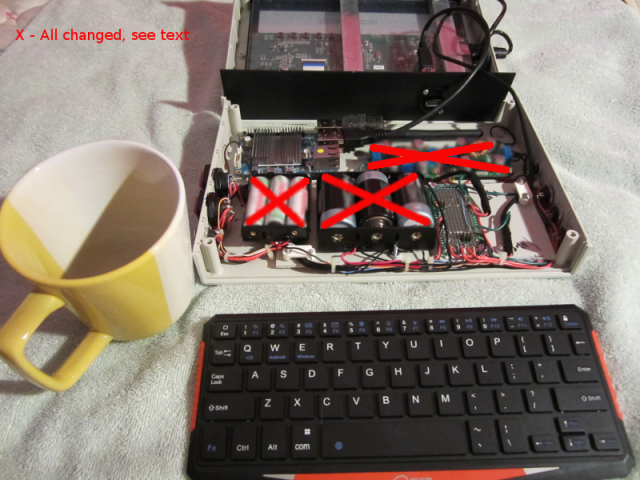 Figure 3: The basic layout of the first tablet attempt. Note that the batteries shown (“AA” cells) have been replaced by two 4-packs (total of eight “C” cells). The six AA batteries could not power the unit for a significant length of time. They were definitely not a good match for the hardware. See multiple texts on this site for more. 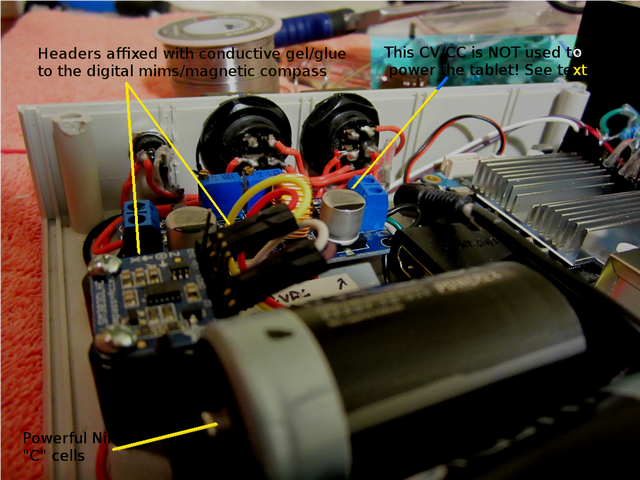 Figure 3 shows an early shot of the interior, before the battery arrangement was changed, before the charging circuits were populated, before any of the peripherals like GPS, pressure sense, digital compass, and private RF channels were added, and before the boosters were replaced by DC-DC converters that produce 5V from 15 VDC. The original “AA” batteries might have jiggled loose, but the smaller clearance of the “C” cells manages to keep them in place. 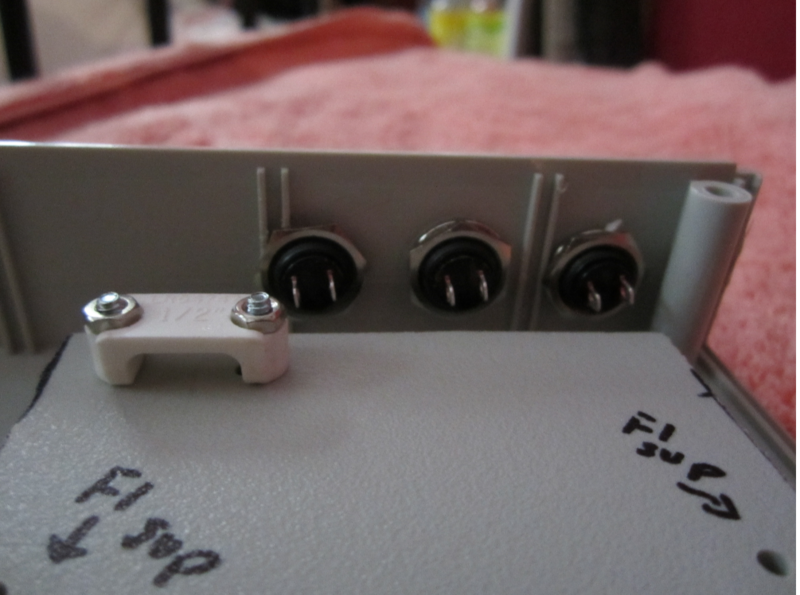 Just to make them snug, I put small foam bits into the top portion of the enclosure. Figure 4: An intermediate power configuration of “AA + C” cells was not satisfactory. 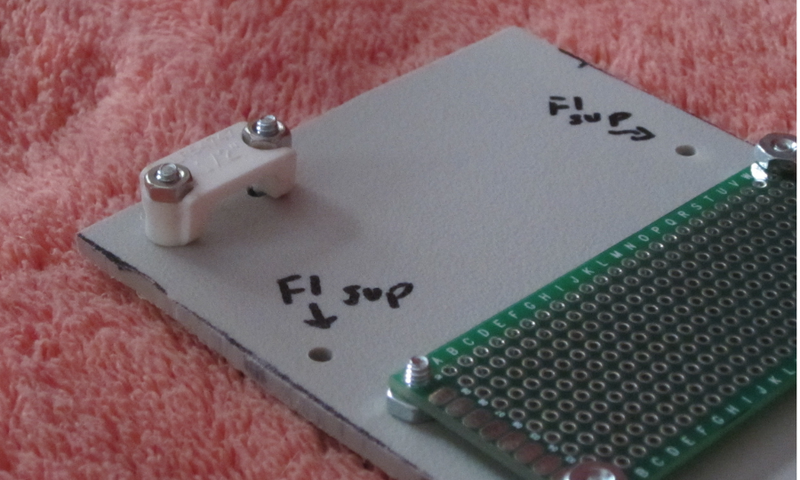 In figure 4 can be seen an “intermediate” attempt at powering the tablet. It too was found to be unsatisfactory, and removed. Mainly due to the power draw of the LCD that I purchased, a bank of eight Imedion “C” cells worked better for me, finally allowing about five hours of runtime. This is not a suggestion for others to follow, however. It was necessary to shuffle the interior quite a bit in order to fit them into the enclosure space. I have added tons more of peripherals, including a heat dissipation fan. Figure 5: A digital compass is shown in the corner. 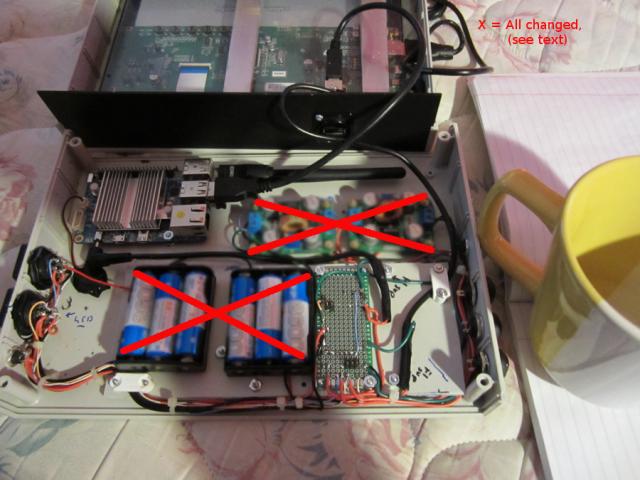 I was able to use a bank of twelve “AA” cells in a different, Pi2 powered tablet that used a power-sipping seven inch LCD (unlike this 10.5 inch monster), and in yet another tablet that used a five inch (very low power draw) LCD. Although the enclosure used is of a tablet form factor, I incorporated the Odroid XU4 (by hardkernel) in an additional separate project – because it is so powerful that it enables me to replace the AMD64 desktop with it! I couldn’t find a battery setup that was “up to the task” of powering that most recent project though, so it runs on the AC mains (for now). Note: This site is not affiliated in any way with the Odroid product, which is at http://hardkernel.com. The Imedon batteries are by Maha Energy Corp.